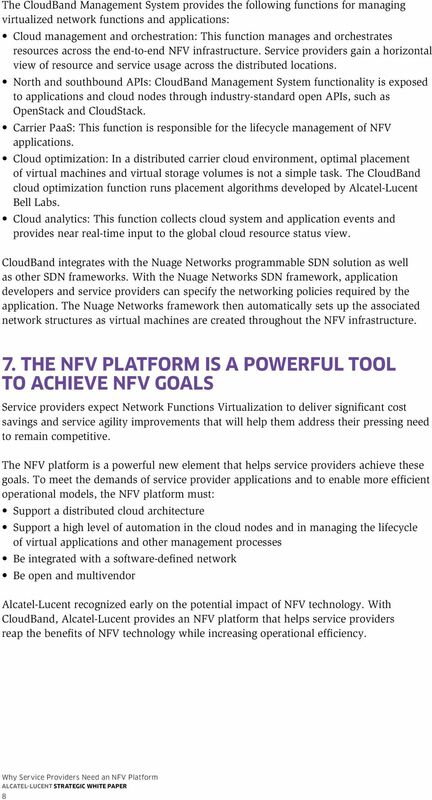 Download "Why Service Providers Need an NFV Platform Strategic White Paper"
1 Why Service Providers Need an NFV Platform Strategic White Paper Network Functions Virtualization (NFV) brings proven cloud computing and IT technologies into the networking domain to help service providers reduce equipment and operational costs, power consumption, and time-to-market for new services and functionality. But IT technologies alone are not enough. Service provider applications are more demanding than most IT applications. 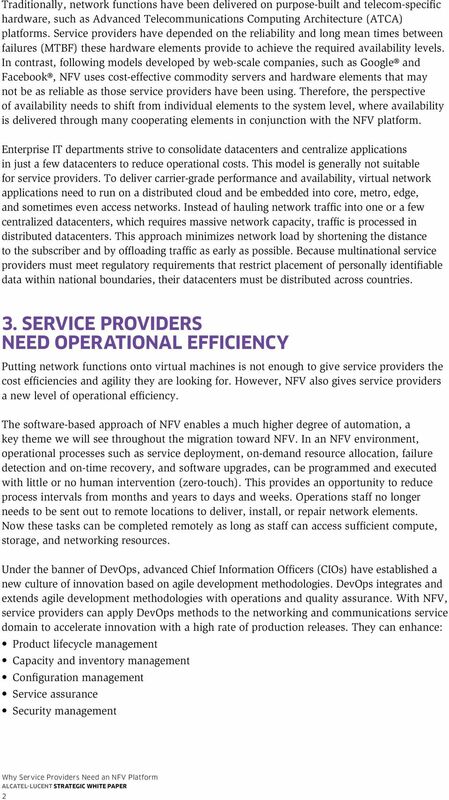 To meet these requirements, service providers need an NFV platform that merges the best attributes of IT agility and low costs with capabilities needed for carrier applications. 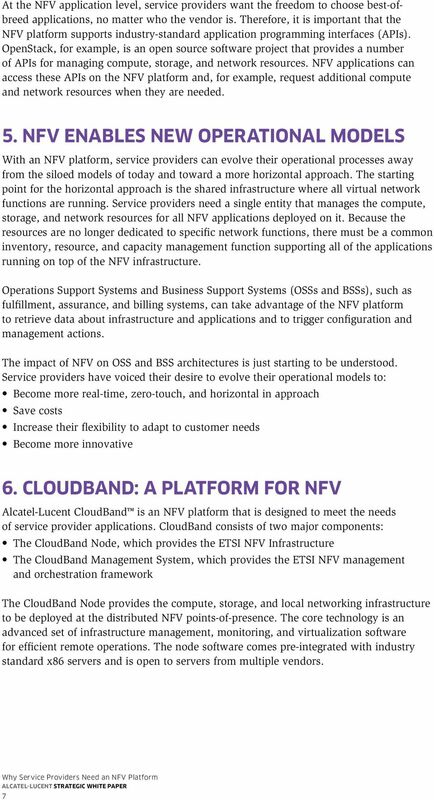 This paper focuses on the key characteristics and requirements for NFV platforms and highlights the central role NFV plays in service providers drive toward zero-touch operational models. A Presentation at DGI 2014 Government Cloud Computing and Data Center Conference & Expo, Washington, DC. September 18, 2014. CLOUD CLOUT WITH OPEN APIS WHAT YOU SHOULD ASK OF YOUR CLOUD PROVIDER STRATEGIC WHITE PAPER As cloud services become increasingly popular, more questions arise about the capabilities of cloud solutions. WHITE PAPER A Comprehensive Cloud Management Platform with Vblock Systems and Cisco Intelligent Automation for Cloud Abstract Data center consolidation and virtualization have set the stage for cloud computing. 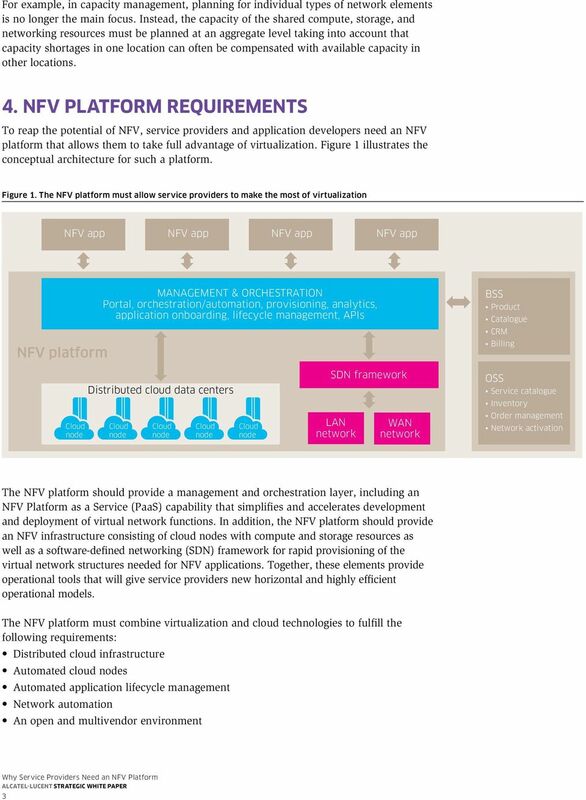 NFV: What Exactly Can Be Virtualized? MRV EMPOWERS THE OPTICAL EDGE. The evolving IT environment: Maximizing potential of open hybrid clouds Every enterprise, from small-and-medium businesses (SMBs) to global enterprises, needs business applications to run its business. 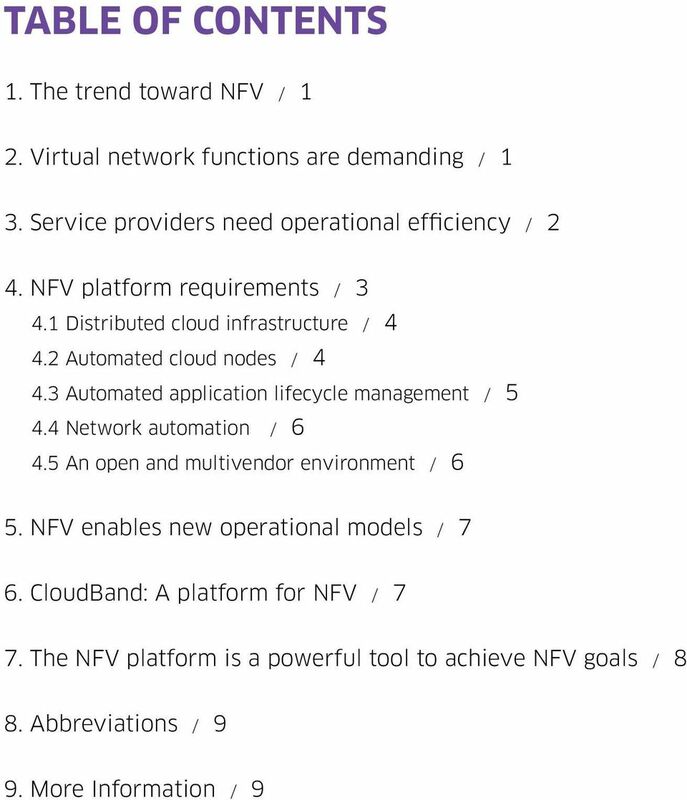 What is SDN all about? What is SDN all about? Emil Gągała Juniper Networks Piotr Jabłoński Cisco Systems In the beginning there was a chaos CLOUD BUILDING BLOCKS CAN I VIRTUALIZE MY Compute Network? Storage Where is my money? 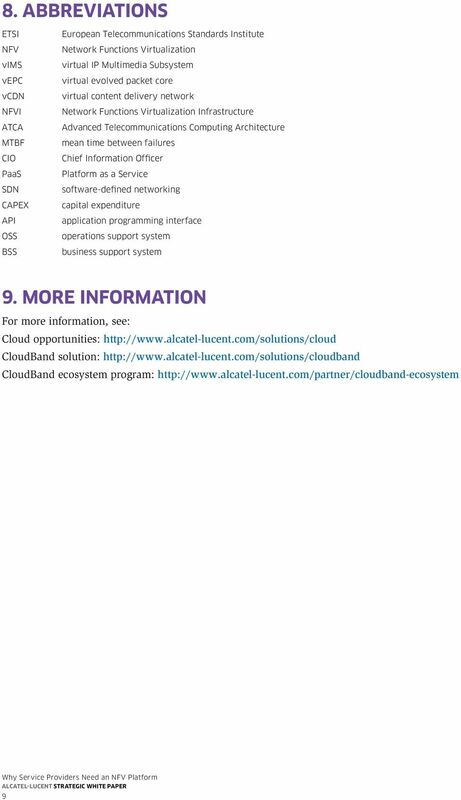 1 COPYRIGHT 2013 ALCATEL-LUCENT. ALL RIGHTS RESERVED. White. Paper. 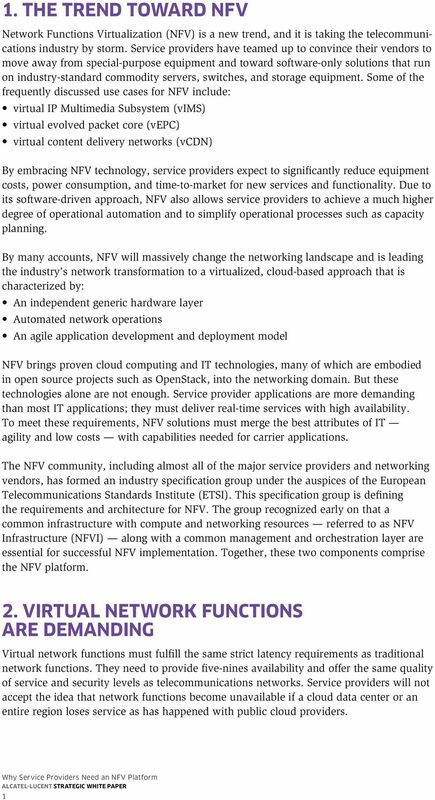 The Rise of Network Functions Virtualization. 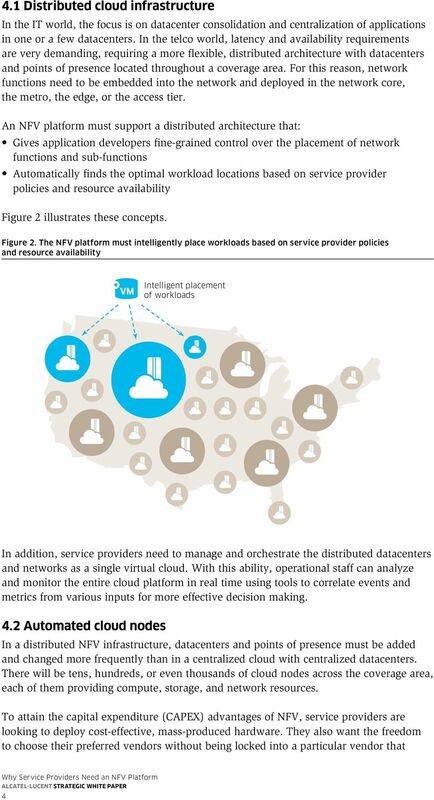 Implications for I/O Strategies in Service Provider Environments. 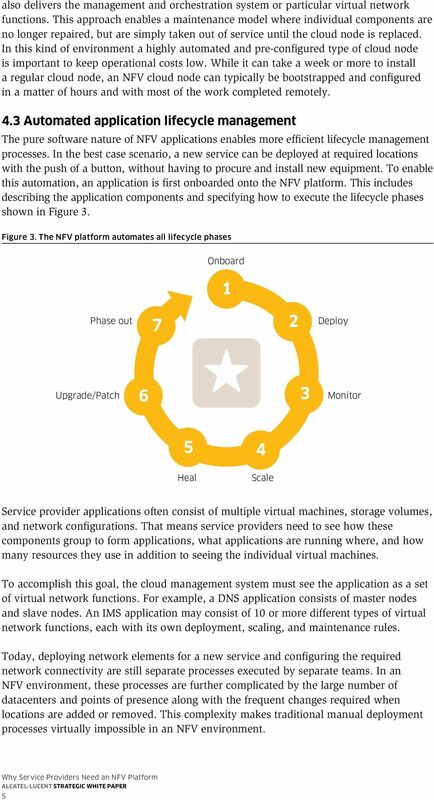 Blue Planet Introduction Cyan Blue Planet is the first Software- Defined Network (SDN) and Network Function Virtualization (NFV) platform purpose- built for service providers and the wide area network.